I was inspired to make this bath milk by a natural beauty book I’m currently reading, I’ve however modified the recipe to suit myself, except the cocoa butter and roses. I love roses and cocoa butter, infact almost all my diy bath stuff have one or the other including this skin softening bath milk. However aside the roses and cocoa butter, it has coconut milk which contains a natural protein that is good for the skin and goats’ milk which has alpha hydroxy acid that helps in removing dead skin cells and vitamin A which helps in skin repair and rejuvenation. Anytime I make this bath milk, I let it sit for a few days before using, this allows the vanilla scent become more intense (it’s like infusing herbs in oil, if you get the picture). I love to fill up bathtub with warm water, add as much as I want ( Be careful with the roses, you don’t want to mess up your drainage), soak in and relax for 20 to 30 minutes, then give myself a gentle scrub with a soft sponge or exfoliating gloves. Skin feels so smooth and soft. It’s so simple and easy to make and you’ll probably find all the items you need in your kitchen cupboard…..okay at least a few of them. Measure out all the ingredients, add the powders together in the bowl and mix. Open up your vanilla pod with a knife and cut it into pieces, this will allow the vanilla scent out in the milk. Use the grater to grate the cocoa butter in the milk and add the dried rose petals. Mix all together and scoop in your jar. The scent gets better with time because of the vanilla pods. Ingredients all measured out and ready to be mixed. All well mixed and you can add more roses and vanilla pods like I did. Don’t forget to cover your jar well and tight. Use anytime you feel like the extra pamper is needed. Thank you for reading and let me know your thoughts on this recipe. Please don’t forget to like, share and subscribe. Carrier Oils/Base Oils are natural plant/fruits oils, pressed from the leaves or seed of such plant. Usually, plant oils do not have any strong concentrated aroma unlike essential oil, however some type of oils like neem oil, marula oil, olives etc, have distinctive smell, also carrier oils are not prone to evaporation because they are less volatile unlike essential oil. The best plant oil is unrefined, cold pressed, and organic.That been said I don’t always buy the organic oils, as long as its pure and unrefined, I’m good. Carrier oils are important for health and beauty. They not only help the skin absorb essential oils better, they moisturise and protect the skin from damage caused by external environmental factors. Using natural oil is a really fast way to get antioxidants, essential fatty acids and vitamins on your skin tropically and I’m obsessed with them it’s not even funny, I’m always mixing/blending with essential oils to use for my skin, hair and face. These oils are just a few new ones I’ve just started using and not so new ones as well. Hope you enjoy reading!. This is one of the new oils I recently started using for my hair and it is beyond amazing!. I use it as a leave in or mix it with my conditioner for deep conditioning treatment. It’s often called the Botox plant. It is a natural source of alpha-hydroxy acids (AHAs), which helps to gently exfoliate the skin and speed up skin cell renewal, controls acne and breakouts, encourages fresher, younger looking skin. It has something called ‘mucilage‘ in high content ( mucilage is produced by all plants, it is a thick gummy substance that helps water and food retention, seed germination and membrane thickening, a good example of plant with high mucilage is flaxseed). 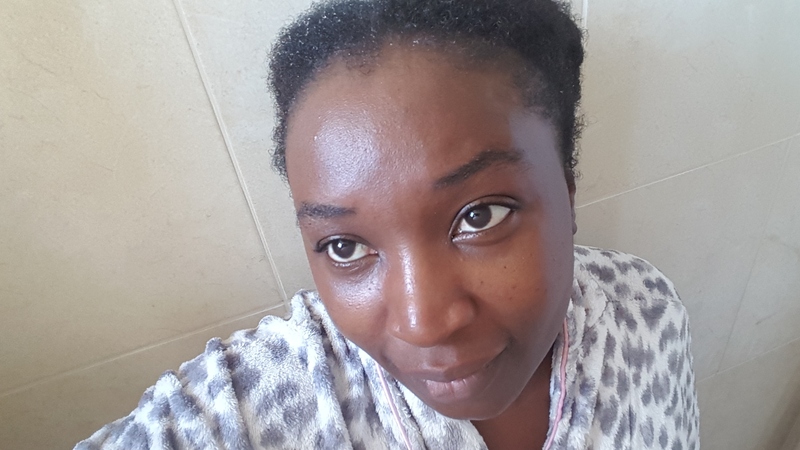 Mucilage is a good hair moisturiser and amazing detangler for hair. I love what it does for my hair. 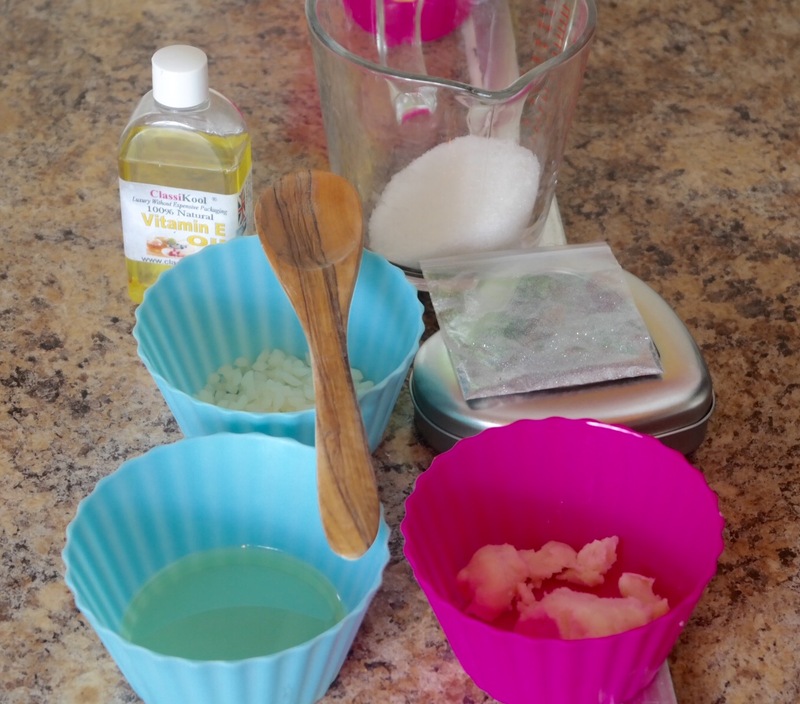 I mix it with my hair conditioner and I leave it in just a bit longer before rinsing off. It can be used to treat dandruff, helps in combating hair loss issues in both men and women. It also has anthocyanosides which is an anti-oxidants that protects the skin from free radical damage. It helps refine pores because of its astringent properties. Skin conditions like eczema and psoriasis can be rescued with the use hibiscus oil. One of the things I like about this oil is the colour, its light yellow/mellow gold, also a new oil in my cabinet. 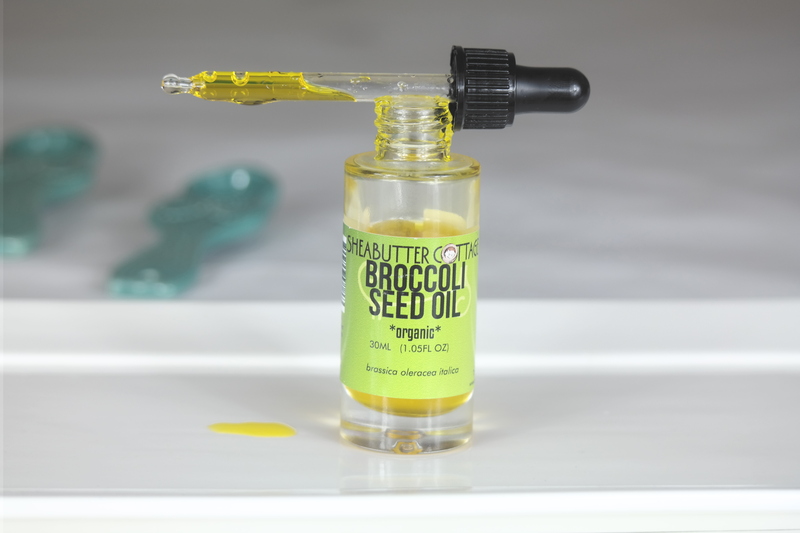 Broccoli seed oil has anti oxidants properties and essential fatty acids that helps with hydrating and moisturising the skin. It forms a protective layer over the skin hindering water loss. It protects the skin from UV rays and environmental pollution. This amazing oil is also a source of retinol that helps to increase skin cell turn over and slough off dry dead cells. Also a source of vitamin C , that helps to nourish and gives skin a glow. This oil is not my favourite for face just because the of consistency, that been said, it is a miracle for my hair and skin. Basically it by far one of the most effective oil I’ve ever used. I mix it with my body butter or I just rub it on my skin after a warm bath. This is a dark, thick and greenish oil that smells like a potent herb but it works!. It is a tested and trusted oil, from its bark, to leaves and oil, This plant oil does wonders for hair and skin. It is often used with other light oils to blend/mix because of its thickness. I have used this oil for more than 3 years now and it is one of the most effective in treating any scalp issues that I know. Neem oil has been used in Ayurvedic medicine/remedies for thousands of years. It is anti bacteria, anti parasitic, anti fungal, anti inflammatory. And it smells really potent!. It promotes hair growth because of the high level of anti oxidants which apparently is more than blue berries or spinach/green leafy vegetable. It protects the scalp from dandruff, itchiness hence its hair growth benefit. It helps in treating ringworm because of its anti fungal properties (ringworm is a fungal infection), also helps with eczema/itchy skin. The bark and leaves can be boiled or socked in water and use as hair rinse. Harvested from the nuts inside the sweet marula fruit, this oil is chocked full of omega and essential fatty acids, vitamins E and C that works together and helps to repair any skin damage. A naturally soothing oil, fast absorbing, hydrating oil for all skin types and hair. One of my favourite thing about this oil aside its non tacky ability is the smell, oh my lord! I love the it, it smells so pure and rustic. It helps in balancing moisture level so it’s a good choice to mix with face cream or body lotion, it softens and rejuvenate the skin as well. Extracted from the seeds of hempseed plant. 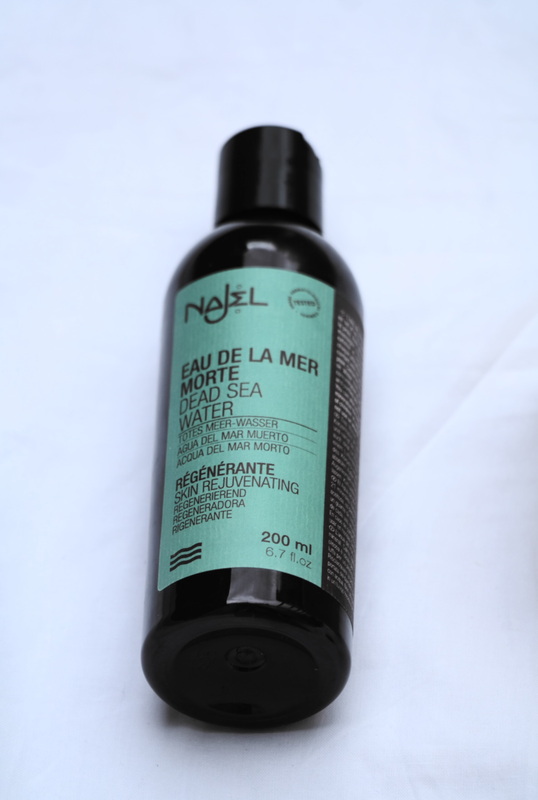 It helps prevents water loss which makes it a very good moisturizer, it easily absorbs into hair, skin and even face. This is also one of my old faithful oils. I love it unrefined and pure. Promotes hair growth because of its omega 3,6 and 9 fatty acids content. It is a source of protein for hair and skin health and also it will not clog your pores so it makes a good oil to try as a facial oil. HAVE YOU USED ANY OF THESE OILS?, let me know and thank you!. It’s one of those nights when my mind is just clogged and I can’t go to sleep. So instead of tossing and turning I decided to go downstairs gather up my ingredients, lock the kitchen door (to block off the noise incase you were wondering) and make my son’s body butter. I use it as a body and hair moisturizer for him and it works just fine. I use it for rashes, dry skin, and even flu cream with added eucalyptus essential oil. It is a moisturising and healing butter. 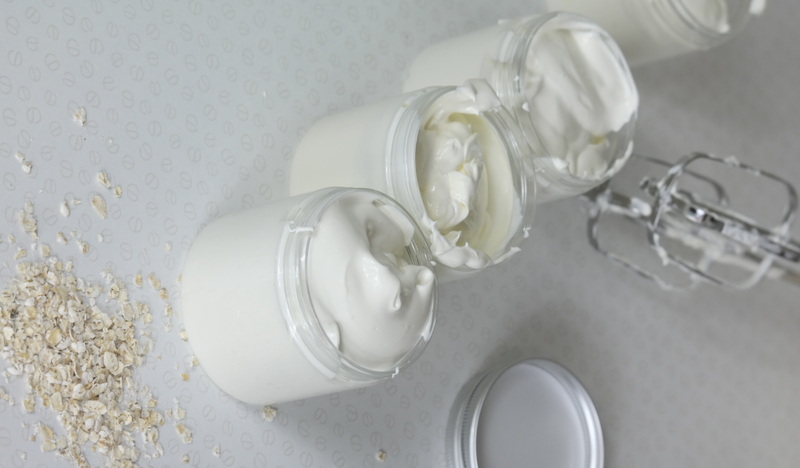 Basically, body butters rejuvenate, moisturises and protects the skin. It has no water unlike emulsified creams and lotions. It provides a protective layer on the surface of the skin to prevent water/moisture loss hence it’s better used on a damp skin. The pores on the surface of the skin means that whatever we put on it sinks in, so using natural butters like Shea, mango, cocoa, tacuma etc that has a lot of vitamins, minerals, and omega 3,6,9 fatty acids benefits the body. 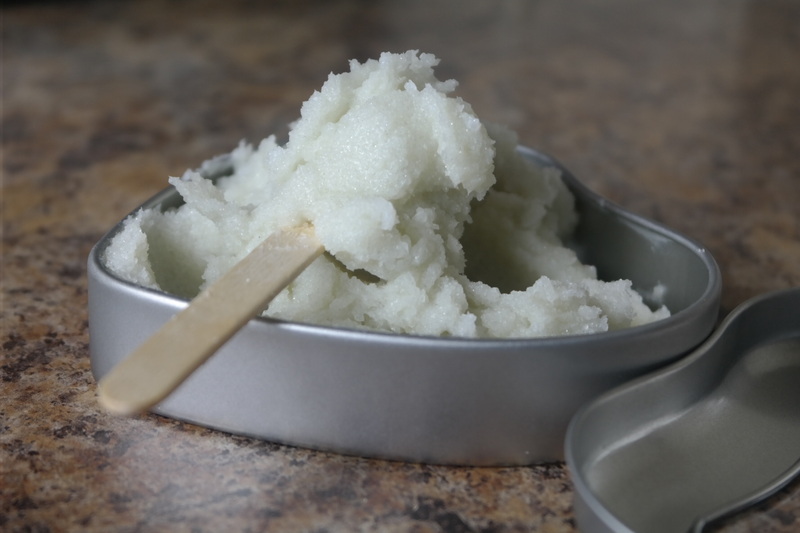 African Shea butter is obtained from the Shea tree nuts that grows wild in Africa. 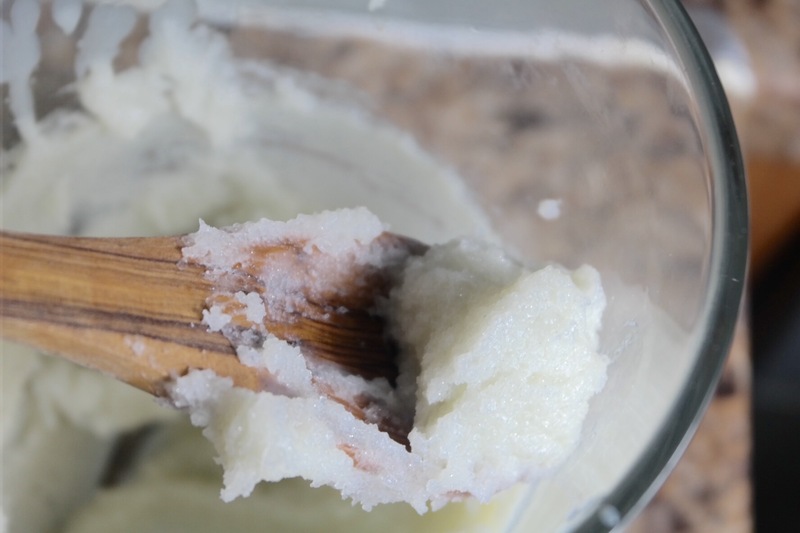 According to the American Shea institute study, Shea butter has the ability to relieve symptoms in people suffering from skin blemishes like dermatitis and eczema. It is not only rejuvenating but discourages skin inflammation and that’s why it’s the go to butter for my son’s sensitive skin. furthermore, it can help in smoothing skin wrinkles, fine lines, soothes burns and insect bites. However a little goes a long way when using it on the face. This is how a good organic Shea butter looks like. Smells nutty but not horrible at all. It is an amazing butter that will soften your skin and hair when used over a period of time. 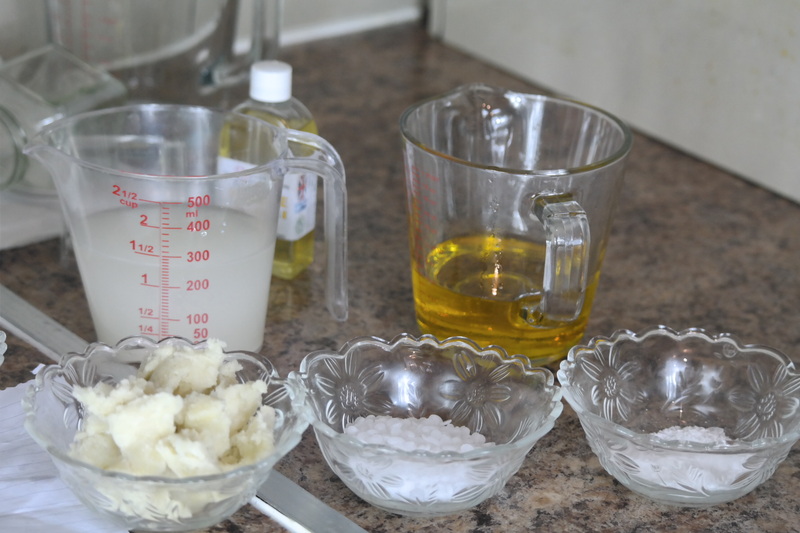 Also can be used alone which by the way I do or mixed and blended with other similar butters/oils to soften the texture. 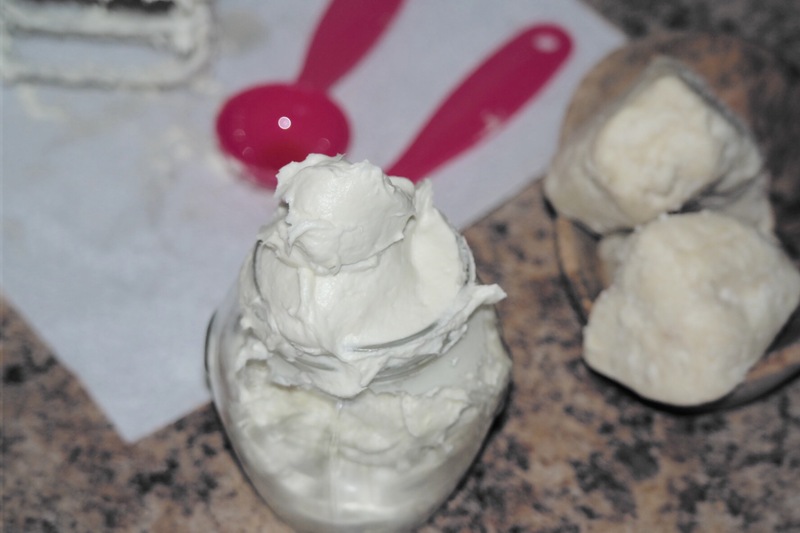 I don’t like melting my Shea butter just because I prefer the texture and the feel of the whipped cream when the Shea butter has not been melted. If my recipe has harder butter like cocoa, I melt it, then allow the heat from the cocoa butter to melt the Shea. Combine all the ingredients in a bowl. And just whisk. However, I suggest you set the electric whisk at a low-speed. This prevents the oil from splashing all over as you are trying to breakdown the butter, it could be a bit tricky but believe me it is worth it, the cream is a lot more fluffy!. When the whipped cream has reached the desired consistency, scoop in your jar. And use on damp skin and hair for best results. Thank you for reading and please don’t forget to comment down below and share. This is for the dry winter lips and the quick lip fix just before a lipstick. It’s a lip scrub, a lip balm and a lip primer all in one. Contains all natural, simple and skin loving oils, wax and butter. Measure out all ingredients needed. Combine the oil and beeswax. Melt in a double boiler or microwave. I used the microwave, and it took 2 minutes in total for the wax to melt into the oil at 30 seconds interval. While the wax and oil are still melting, add the glitter to your sugar and mix while it’s still dry. This allows for an even distribution of the glitter. 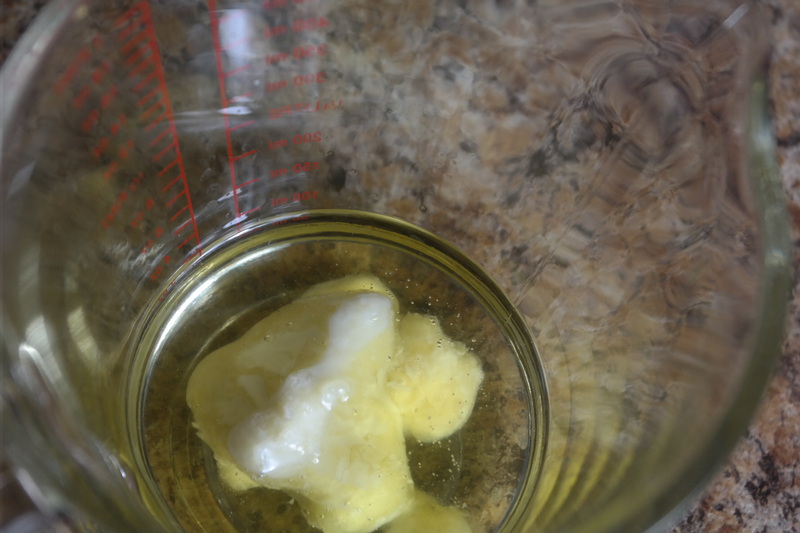 When the oil and beeswax have melted, add the Shea butter. 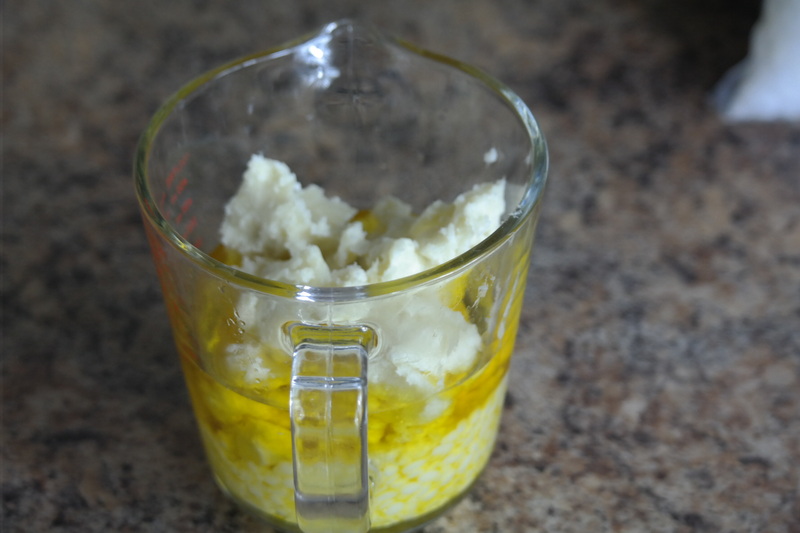 The heat from the oil will melt the Shea butter, also add the vitamin e oil and flavour oil. I just added my vitamin e oil, I decided not use any flavour oil. Add the glittered sugar, then mix very well. You have to move really fast here, the cooler it gets the thicker it becomes because of the beeswax. Scoop in your jar. The result is a beautiful, buttery and soft lip balm scrub with specs of sliver lights. It is very moisturising and leaves the lips feeling soft and plump. I scooped it in a 200ml heart-shaped tin container. Apply to lips and rub in gentle circular motion to get rid of dry, dead cells. Wipe off with a wet wipe or just use a tissue. It is very gentle on the lips and your lips are left feeling very soft. This is a diy you can actually enjoy making with friends and kids. Everybody can add their own colours/glitters/flavour. I am going to remake this with cocoa butter and no beeswax and some colours. Thank you so much for reading. Let me know your thoughts by commenting down below, don’t forget to subscribe, like and share what you like. 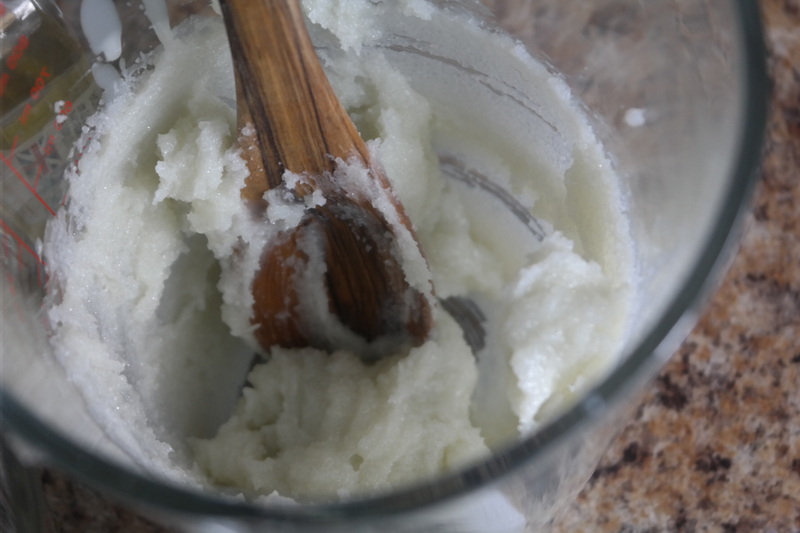 I make a lot of body butters and I love them, because they work really well for skin especially during winter. Applying it over damp skin helps my skin lock and seal in the moisture from water and that results in a softer, smoother feel, though it gets a bit much for me doing it everytime. Usually I make creams & lotion for myself, son and family. I’ve taken classes, I’ve read a lot of books online and off and I still do, I’ve tried out a bunch of recipes and formulated a lot of recipes as well, and just tying to figure out exactly what ingredients I like and what actually works for my skin. It’s always very interesting to see what works and what doesn’t and just learning about how oils/butters/liquids all work together to make creams/lotions. I formulated this recipe for my skin(dry skin). 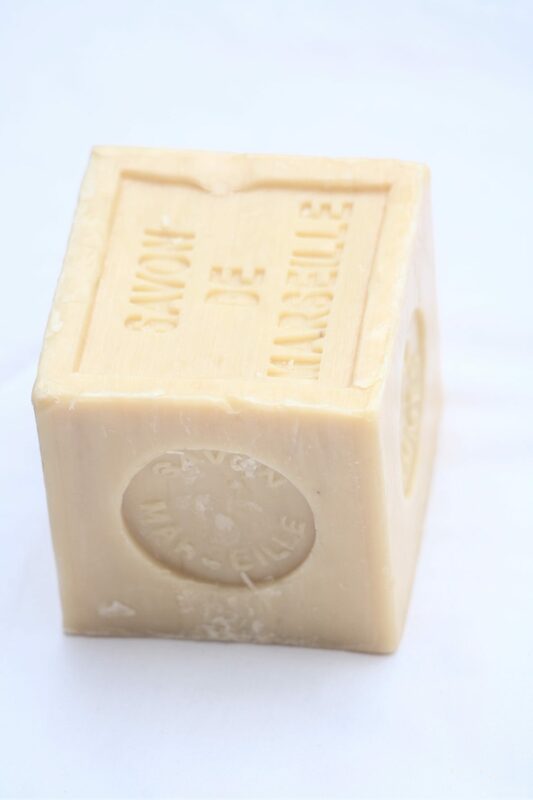 I wanted something very rich, thick but feels light, hence the whipping and something I can just use on a clean dry skin. I have to tell you this whipped cream turned out AMAZING!. It sinks in without any tacky feeling and my skin is left feeling soft, hydrated and very well moisturised all at once. 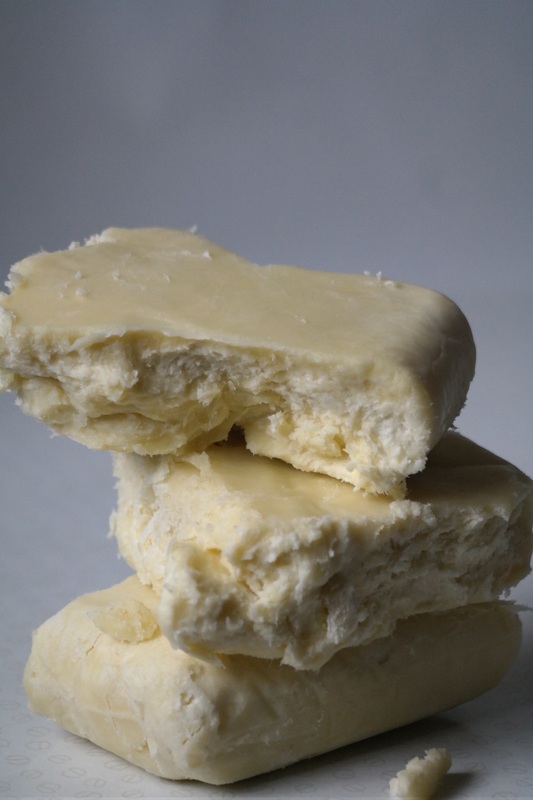 This Recipe has a reduced liquid/water content of 50% and 17% solid butter(Shea butter) hence the thick, fluffy texture. I added D-Panthenol which is also known as vitamin B5. It is a water-soluble vitamin that works as a humectant, helps in increasing the water content of the skin which leads to elasticity. It also has anti-aging properties, soothes, softens and moisturisies the skin. It promotes new skin cell regeneration allowing for a fresh, plump and smooth skin. This is a personal method of making the oats milk, I don’t know if it’s the right way or not but this works for me. I soak a cup of oats in 3 cups of distilled water overnight, then I run it through a blender after which I pass it through a cheese cloth twice and I use it. This makes a very thick rich cream that I use for soap making. The second method- I add the oats to distilled water directly, I let it steep for a few minutes to get the water cloudy, then I pass it through a cheese cloth. This makes a very light milk. Measure out all the ingredients. It makes for an organised/less messy work space. 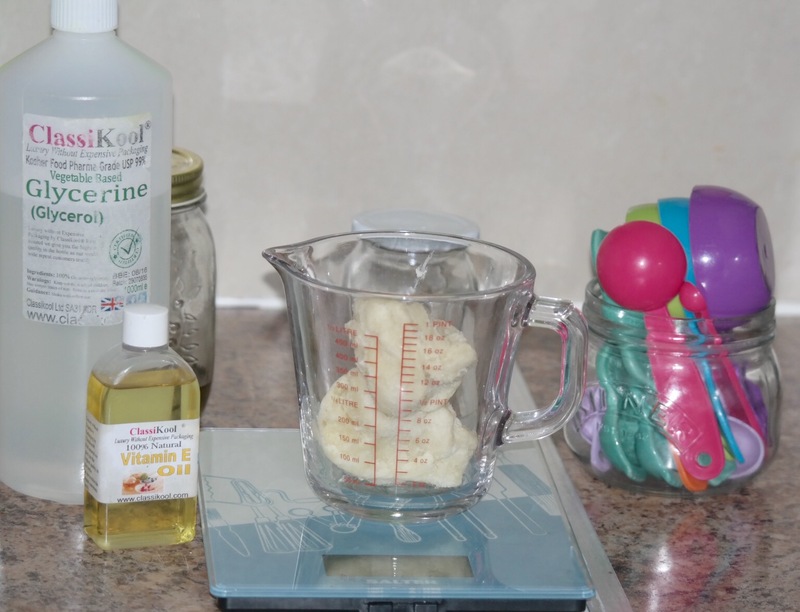 Combine all the solid and liquid oils with the emulsifying wax and the stearic acid in a heat-resistant jar or bowl and melt in either a double boiler or microwave. Heat the water phase in a double boiler or microwave. And add the D-Panthenol. 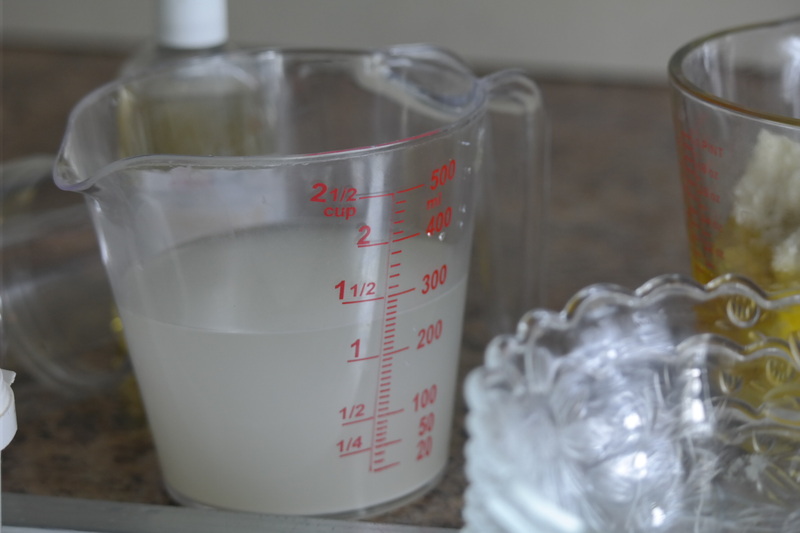 If you are using glycerine, you can add it now or after the lotion has cooled down. Both the oil and water phase should be at the same range of temperature (75-80 C). In a steady steam, pour the oil phase into the water phase( I actually did it the other way round as in water into oil and my cream turned out perfect) and continue to mix/stir with a spoon/balloon whisk/milk frother or stick blender until the temperature has cool down, because of the preservative which is very much-needed due to the water content, add your vitamin E and preservative. This is the stage where you’ll pour in a bottle if it was a lotion, however since this is a thick rich cream, you should leave it out to cool down or put it in the fridge. The cream will become thicker. Whip it with hand mixer for about 4 to 5 minutes. And scoop in jars/jar of your choice. After whipping I suggest you don’t cover it immediately, just leave it out overnight or a few hours if you can for any excess water/liquid to evaporate. I use the cream after my bath/shower. And also at night before bed. Sometimes the cream/lotion might want to separate, just use an immersion blender(stick blender) to mix it all together again and it should be okay. 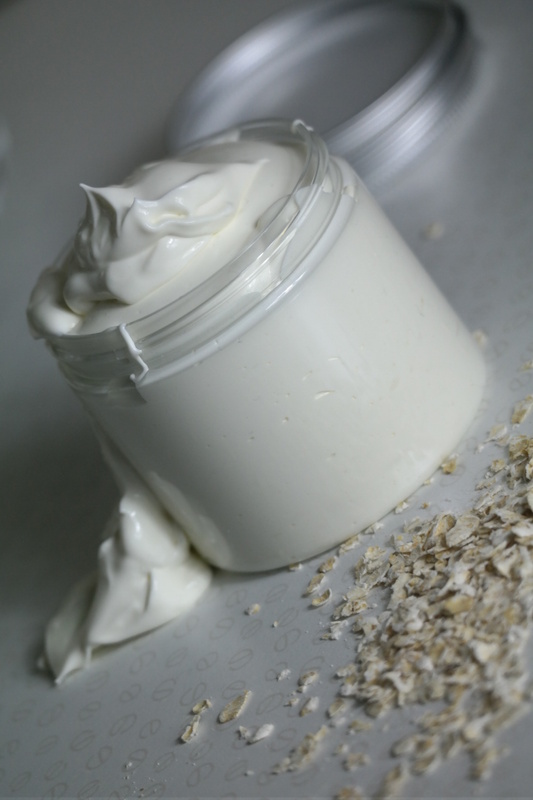 This is a really thick, fluffy and light moisturising whipped body cream. It is incredibly soothing for dry skin and leaves the skin feeling very soft and smooth to touch. Thank you so much reading. Hope you’ll try this out and share your thoughts down below, don’t forget to subscribe, like and share what you like.